Avatarium: "We have a little more sunlight coming in." 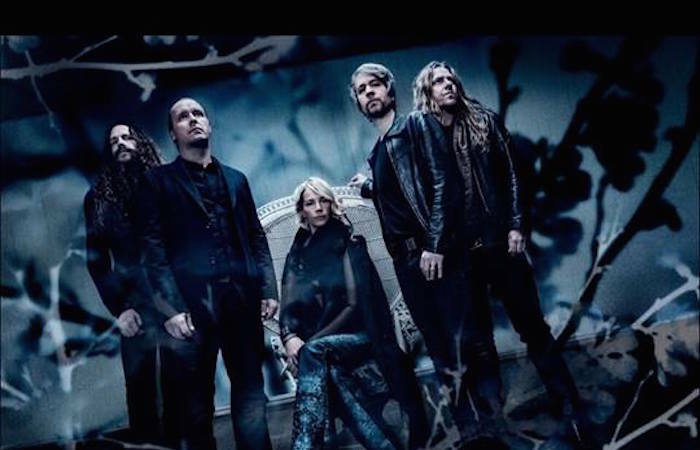 Founded by Swedish doom pioneer Leif Edling of Candlemass, Avatarium’s biggest asset has arguably always been their ability to retain Edling’s penchant for huge doom riffs and epic soundscapes but with a more atmospheric edge – on third album Hurricanes and Halos, the latter takes an even larger role. Edling taking a step back from the project risked having a detrimental effect, but in reality, Avatarium have created perhaps their best work yet despite it. This time around, Edling has adopted the unique role of ‘creative overseer,’ with the songwriting duties of husband-and-wife duo Marcus Jidell (guitarist/producer) and Jennie-Ann Smith (vocals) being stepped up. Given that Smith’s sonorous vocals have always been one of the sources of the band’s more atmospherically-inclined sound, it follows suit that the album steps up this side of the band. To get a better understanding of how Edling’s new role affected the release – and how the five-piece forged Hurricanes and Halos – we spoke to Jidell following its release. As a married couple, Jidell feels he and Smith “can connect on some different levels since we know each other so well,” but Jidell also makes clear that “the thing with Jennie-Ann is that she is the greatest singer I have ever worked with, and at the end of the day, that is what counts when doing music.” Together, the duo have always played a large role in the song arrangements, “I think that is a big part of the Avatarium sound,” says Jidell. However, he also notes that Rydström’s bass playing had a “big impact on the sound”, and that after Rickard Nilsson joined as organist it “became very natural to keep on adding organ sounds since he is such an amazing player.” The input of each member is clear on the release – it marks a continuation, but also an improvement, of the style seen on the band’s previous efforts. This knowledge and passion has led to what many believe is the band’s best effort to date. Experimental yet without abandoning what made Avatarium’s sound so enjoyable in the first place, Hurricanes and Halos sees Jidell and co. take another step up the ladder, proving them worthy of the “Up And Coming” award presented to them by the German Metal Hammer last year. Losing a metal legend from a lineup is no easy event to overcome, but with Edling’s guidance and mentorship, Avatarium have graduated from his school of doom. Hurricanes and Halos is out now via Nuclear Blast. You can follow Avatarium on Facebook here and check out their website here. Thanks to Marcus Jidell for his time.